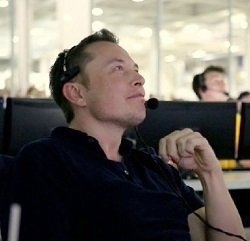 SpaceX and Tesla Motors Founder Elon Musk has quit three White House advisory bodies over President Donald Trump’s decision to withdraw the United States from the Paris Climate Accord. “Am departing presidential councils. Climate change is real. Leaving Paris is not good for America or the world,” Musk wrote in a tweet on Thursday. Musk said he had done all he could to convince the president not to withdraw from the global agreement to reduce carbon emissions to flight global warming. Musk served on the White House Manufacturing Jobs Council, the Strategic and Policy Forum, and the Infrastructure Council. Disney CEO Bob Iger also resigned from the Strategic and Policy Forum over Trump’s decision on the Paris Climate Accord. I’m pretty sure Congress would have to approve this transfer of funds.